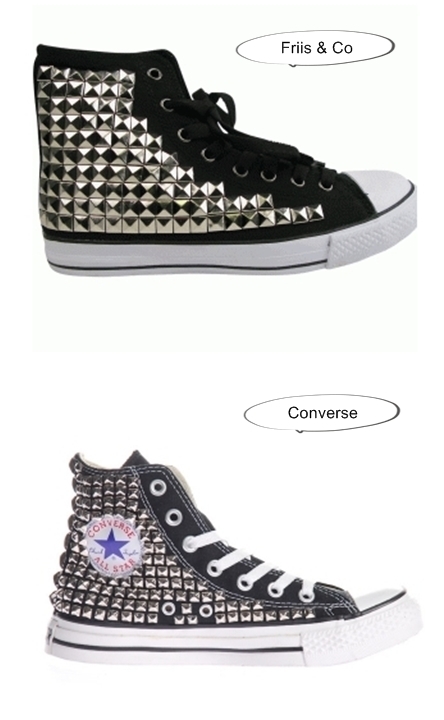 Converse har lavet nogle cool nitte sneakers, set hos Jades24 til knap 6000,-. Men Friis & Co. har dog et billigere alternativ til 499,-. Eller hvis man er frisk kan man jo også gå igang med den store DIY tur. Ps. Friis & Co har gratis forsendelse denne uge. Cool I am not really a fan of sneakers but when my hubby saw this…he said he can buy tons of them for me whahahaha!!!! I really do not know if I can carry that style…I look like a midget or fat wearing sneakers…I really can’t understand why!!!! but love the studded designs…it really rocked!